This year, 2015, the Oil Care Campaign turns 20. 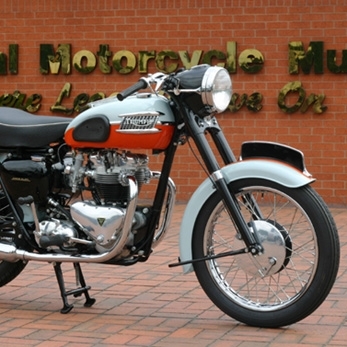 In celebration we’re hosting a conference and exhibition on 4th June at the National Motorcycle Museum near Birmingham. Since its launch in 1995 the Oil Care Campaign has helped reduce oil pollution incidents across the UK to less than 3350 in 2013. In 2013/14 over 37,500 people used the Oil Bank website to find their nearest oil recycling bank. Our good practice information is used across the UK by businesses and householders with responsibility for keeping oil safe. Your business has the opportunity to link with the Oil Care Campaign at this one of a kind event for £250 (+ VAT). This will give you a table in the exhibition room and entry for up to two people to the conference. Tell your customers about the event so they have the chance to register an interest in attending. We’ll send out more information in early 2015. Confirmed exhibitors include Adler and Allen, Empteezy, Darcy Spillcare Manufacture, Oakdene Hollins and Oftec.